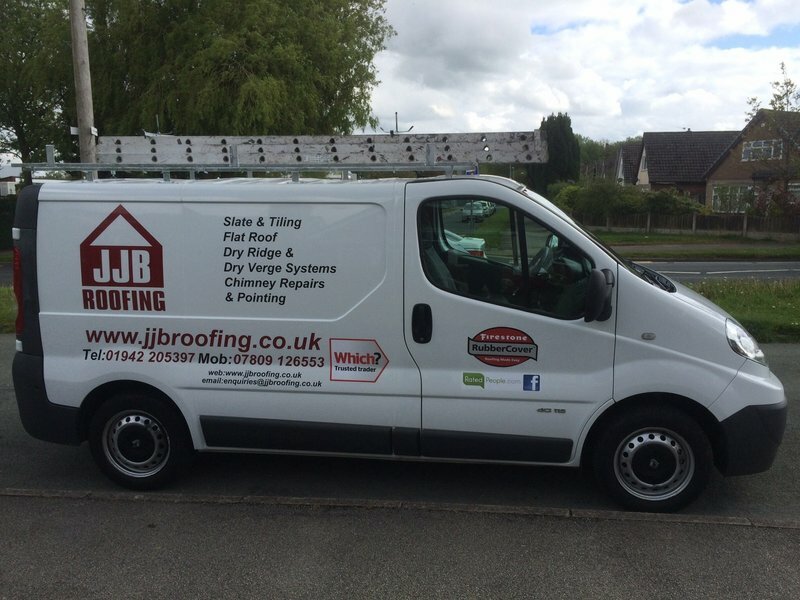 JJB Roofing are a professional and experienced company based in Wigan, Lancashire and provide an excellent service to its customers. 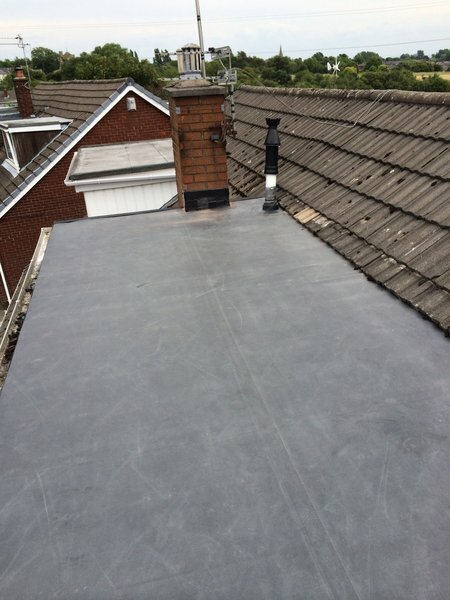 We specialise in Roofing, Flat Roofs, Slating / Tiling, Guttering and Downpipes and are available for emergency call outs. We are an honest and reliable company, with excellent customer reviews (please see our Rated People page and Website for some of our testimonials). All works completed come with a personal guarantee and insurance backed guarantees can also be provided upon request. 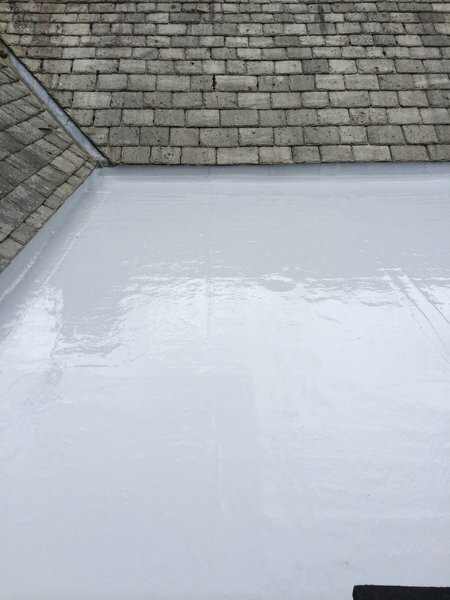 JJB performed a complete re-roof on our property when the weather was not so nice. Quite simply this guy (Jonathan Bellamy) is the best trader I’ve dealt with in 30 years of home-ownership and I only wish more traders were like him. From quotation to completion he was a pleasure to deal with; his was the best price and a good job was done. I asked lots of questions over several months, including during the work and he always answered promptly either in person, on the phone or via e-mail/text, always giving good advice. He turned up exactly when he said he would when surveying for the quote, answering questions and doing the work. The work was performed exactly as planned and I was kept informed at all stages, either in person, on the phone or via text. His work was of a very good standard and was inspected by the council building control department who praised his work and knowledge of the trade. 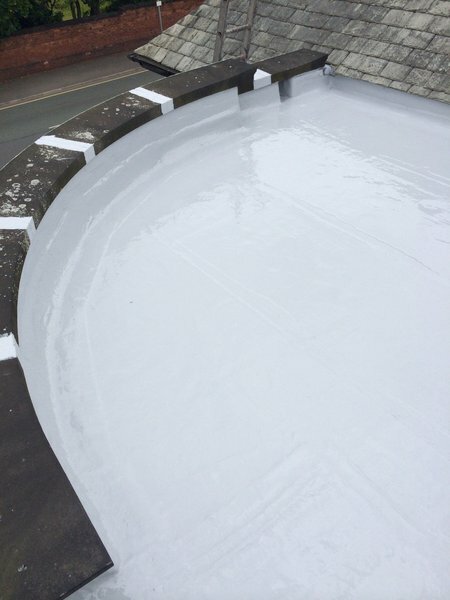 Also, some remedial work was needed as the job progressed but there was no hint of extra cost being charged. I also requested some other Which? Trusted Traders to quote and they did not come close either on customer service or price. 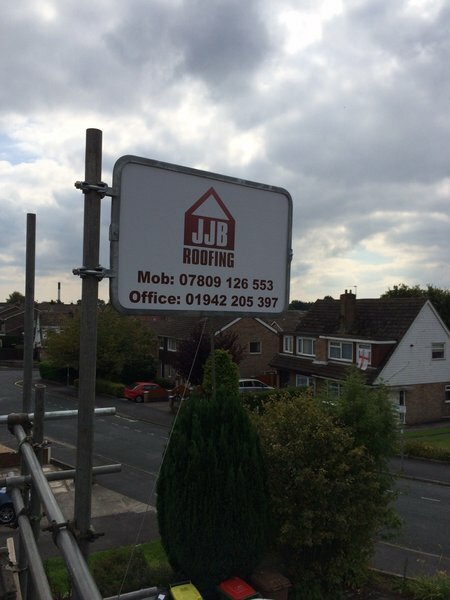 I have used JJB roofing several times and cannot fault Jonny and his team. They are knowledgeable, reliable and nothing is too much trouble. Would definitely recommend. JJBroofing have done several jobs for me over a period of time. This is at my business premises and home address. They have always be fair in their pricing, breeaking down the cost of materials and labour for transparency. When I’ve needed them , they have given me accurate days and times when they are coming also. Once a job has been job and there are any follow up issues, these have also been sorted. Therefore, I consider them very reliable with fair prices and good service. Recommended. I had chimney repointed and sprayed with damp protector, and a small job of roof tile replacing which was done the next day to me calling. Also came when they said they would and let me no either way what needed to be done. Very fair prices, good set of lads would highly recommend them for any roofing jobs big or small. 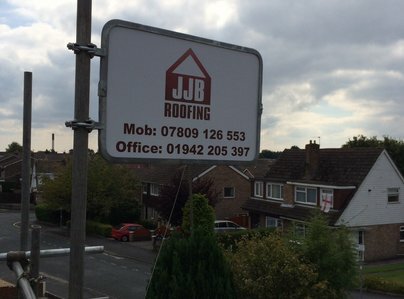 JJB roofing replaced the lead on my roof after this was stolen. 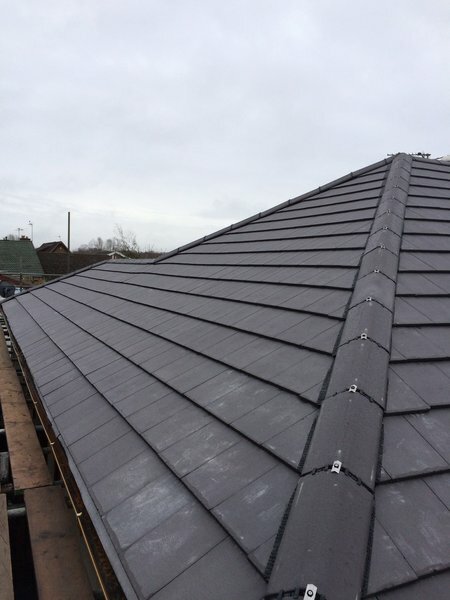 I got a very quick response, the quote was very reasonable in comparison to other roofers and the work was completed to a high standard. 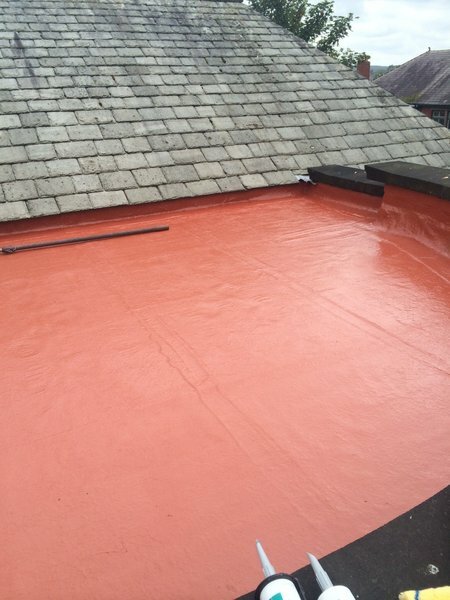 Would highly recommend and will use again for any other roofing work needed. Jonathan and his team replaced and felted my roof. They were clean and efficient and completed the job as stated. We were kept in touch at every step of the project and they even came back when the scaffolding and skip were removed to clean up. 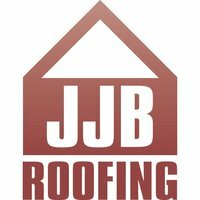 The standard of work was excellent and I would have no hesitation in recommending Jonathan and his team to fix or replace your roof. Jonathan came to repair some roof tiles & a piece of guttering that needed replacing. At no extra cost he cleared another gutter of old mortar & fixed it so that the water actually runs off the gutter. Cowboy builders who previously did my gutters did not have a hole in the gutter to allow the rainwater to escape as it should via the down pipe. 2 lessons learned - never employ cowboys you know nothing about, stick to firms that come recommended by Which? like JJB Roofing. Professional, honest, tidy & a pleasure to deal with. Although busy when I first contacted him he kept in touch when he promised and carried out a free inspection as soon as he could. Confirmed the storm damage (ridge tile blown off breaking others as it fell to ground) and showed me photographs of each area. Needed a dry day to remove/re-bed all and came on time as agreed. Work carried out neatly and for a fair price.